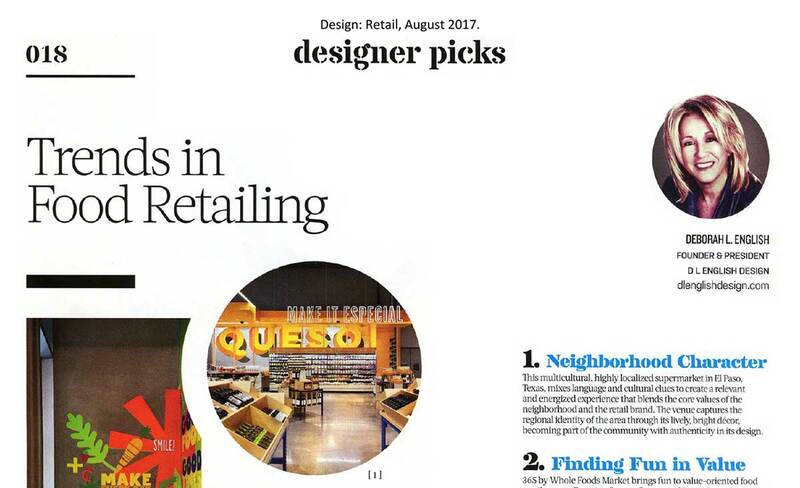 DL English president, Deborah English, is featured in the August issue of Design:Retail “Designer Picks” section. English discussed trends we’ve been seeing and how DLE incorporates into our work. Read the article: DesignRetail_Aug17_DLE.